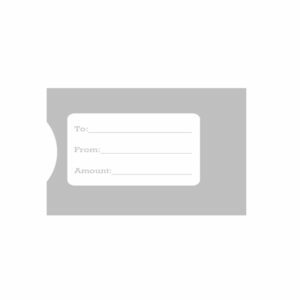 A great, inexpensive alternative to custom printing! Let your company logo do the talking with this window sleeve. Full window view on one side of the sleeve, perfect for showcasing your great gift card design. 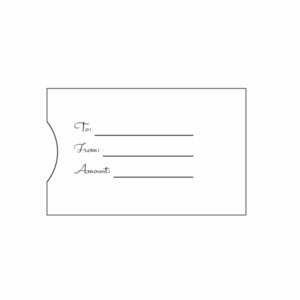 These gift card sleeves are a great, inexpensive alternative to custom printing! 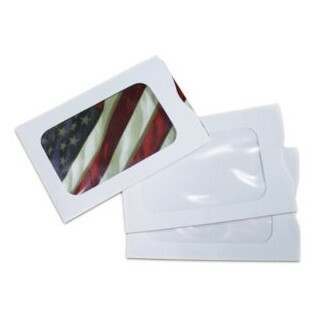 The clean white gift card sleeve with a covered window is a great way to affordably present a gift card. 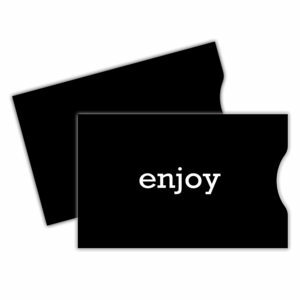 The sleeve fits standard sized gift cards. 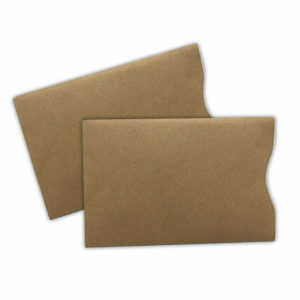 With this card sleeve, you can show off your logo or a message without custom printing. Let your company logo do the talking with this window sleeve. 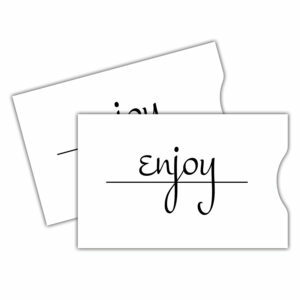 The gift card sleeve features a full window view on one side, perfect for showcasing your great gift card design. The sleeve perfectly holds one standard sized gift card.